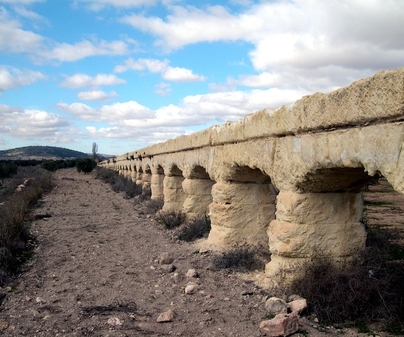 Albatana seems to owe its name originally to a hydraulic construction, because an old aqueduct, of which sections in parallel with the present one are preserved, apparently supplied a fulling mill (batán); that is why it is called al-batan-a, and a mill was built on this building. 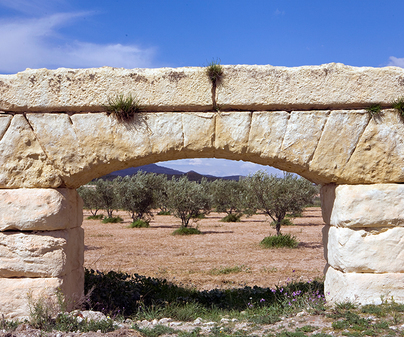 However, although this is a beautiful legend, it cannot be proved, since there are no references of the Islamic period. 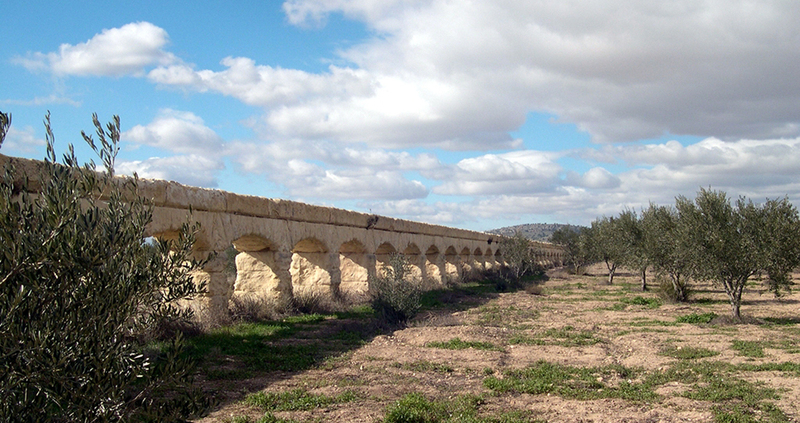 However, what is real is that the aqueduct is one of the most important local monuments and is located in Molino de Arriba. 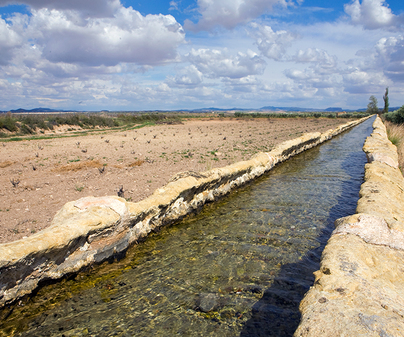 Along 187 meters, water moved from Tobarra municipality, collecting water from a natural spring, to a water well that activated the millstone. 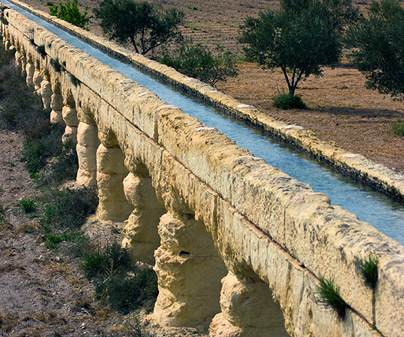 The aqueduct is made of ashlar stone and segmental arches of an elegant design.